You’ve probably heard of anterior cruciate ligament injury in human sports, and in fact dogs are very similar. There are actually two cruciate ligaments in each knee: cranial & caudal (or anterior & posterior). As the name suggests, they cross over inside the joint. Their job is to stop the bones above and below from sliding forwards or backwards when the stifle is weight bearing. An odd feature of the canine stifle (knee) is that the weight bearing surface (the tibial plateau) slopes backwards at an angle. Whenever a dog puts weight on their knee the cranial cruciate ligament must therefore take the strain. It’s like parking a car on a slope and relying on the handbrake to keep it there. If it fails, the tibia slides forwards and the joint capsule is stretched. We call this motion tibial thrust or cranial drawer, and it hurts! It’s why when a cruciate ligament is ruptured a dog won’t put much weight on the leg. A cruciate ligament usually ruptures in the course of normal activities. For example, a dog will be running along and suddenly lift the hind leg and start limping. Sometimes they will yelp but there is often no obvious cause. After the injury, the leg does not appear painful as long as the dog avoids full weightbearing. Visit this page for other common causes of limping in dogs. Why Do Dogs Rupture Their Cruciate? Age of desexing may matter for Golden Retrievers, Labradors and German Shepherds. These factors explain why dogs who rupture their ligaments often do it without any special activity. This also explains why dogs that rupture one are very likely to rupture the second within a few years. It’s important to have the first leg back in full function before this happens. 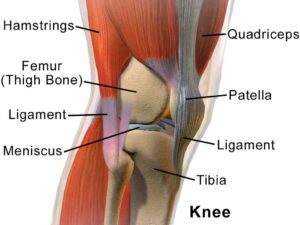 How Common Is Cruciate Ligament Injury? A week would not go by at Walkerville Vet without a new diagnosis. Each of these will join the many other dogs who are living with the effects of this condition. Do All Dogs Need Cruciate Surgery? No. Sometimes, usually only for dogs under 10kg bodyweight who aren’t especially active, there can be a return to normal leg use without surgery. If this is going to happen it will usually occur within 4 weeks. If you wish to try this we strongly advise a course of pentosan polysulphate injections. However, please note that recoveries without surgery are rare, and there is an increased risk of meniscal cartilage damage in dogs when surgery is delayed. 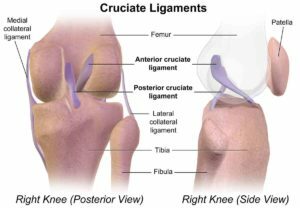 How Do We Repair Cruciate Ligaments? Dogs with cruciate ligament rupture almost always require surgery. Some small dogs can get adequate return to function with other treatments, but these are rare. Which Cruciate Procedure Is Best For Small Dogs? Most dogs under 15kg currently receive extra capsular techniques, which produce good outcomes. You can expect your dog’s limp to disappear once they recover from surgery. Which Cruciate Surgery Is Best For Large Dogs? There is a wide range of surgical procedures developed to treat cruciate injuries in dogs. For a long time we had no good evidence for whether to do one or the other. It is now clear that they are not equal. Techniques using existing ligaments or other internal stabilisations are highly prone to failure. These have fallen out of favour, like Fibular Head Transposition, Paatsama fascial strip, Over-The-Top patella tendon graft & Under and Over fascial replacement technique. An earlier tibial osteotomy procedure, Tibial Closing Wedge Osteotomy, is no longer performed as well. Whichever procedure is chosen, complications are always possible. These can include infection, implant loosening or failure, fracture at the implant site or secondary damage to the meniscal cartilages (‘meniscus’ on diagram). Complications are reduced by closely following your vet’s recommendations for postoperative care. The following cruciate surgeries are still in use in Adelaide. Here are our views on each technique. A nylon, polyester or stainless steel suture is placed around the outside of the joint in the same alignment as the cranial cruciate ligament. ECR is technically the easiest procedure to perform, and results appear very good for small dogs. However active medium and large dogs appear to do poorly and rarely achieve full return to function. Recent data supports this. In a clinical study using pressure plate analysis to measure leg use (rather than relying on owner and vet impressions), only 40% of animals treated with ECR improved and only 15% returned to normal function. Complications are more likely in younger and larger dogs. The latest developments in improved surgical outcomes for dogs with cruciate ligament rupture are the techniques involving reshaping the proximal tibia. We believe that all dogs over 20kg should now receive one of these techniques. While most specialists now agree that the TPLO is better, any of these will produce good results in experienced hands. A cut is made in the front of the shin bone (tibia) and a wedge inserted to move the point of attachment of the kneecap tendon forward. This creates a force opposing the forward movement of the tibia. The MMP or “Modified Maquet Procedure” is a version of the TTA approach. This is a good technique. It appears to have a higher rate of late-onset meniscal tears (requiring a second surgery) and in comparisons with TPLO (see later), has a lower rate of return to full function (Christopher et al, 2013, Cook, 2016). There is also a low risk of tibial fracture. This is a hybrid procedure involving a degree of tibial tuberosity advancement together with the removal of a wedge of bone from the tibia to reduce the tibial plateau angle. A large plate and screws is necessary to hold the repair together. Although less common, TTO is likely to be a good procedure much like TTA. Unfortunately there is very little evidence in the form of studies comparing this technique to the others available. The aim of TPLO is to reduce the angle of the tibial plateau. After successful surgery, tibial thrust and joint capsule stretching should not happen during weightbearing. The surgery involves a curved or radial cut which avoids the patellar tendon but includes the entire tibia plateau. The plateau is then rotated by a pre-measured amount and a specially designed plate and screws are placed to hold the tibial plateau at its new angle. Based on the evidence, Walkerville Vet has started offering TPLO procedures to our Adelaide patients. Visit our page on what to expect when your dog has TPLO cruciate surgery. No matter how good the surgeon or the technique, dogs who damage or rupture their ACL will always develop arthritis in that knee. It seems clear that the newer techniques reduce its severity, not prevent it. Read about the treatment options for canine arthritis here. Barnes, D. C., Trinterud, T., Owen, M. R., & Bush, M. A. (2016). Short‐term outcome and complications of TPLO using anatomically contoured locking compression plates in small/medium‐breed dogs with “excessive” tibial plateau angle. Journal of Small Animal Practice, 57(6), 305-310. Christopher, S. A., Beetem, J., & Cook, J. L. (2013). Comparison of long‐term outcomes associated with three surgical techniques for treatment of cranial cruciate ligament disease in dogs. Veterinary Surgery, 42(3), 329-334. Gordon-Evans, W. J., Griffon, D. J., Bubb, C., Knap, K. M., Sullivan, M., & Evans, R. B. (2013). Comparison of lateral fabellar suture and tibial plateau leveling osteotomy techniques for treatment of dogs with cranial cruciate ligament disease. Journal of the American Veterinary Medical Association, 243(5), 675-680. Krotscheck, U., Nelson, S. A., Todhunter, R. J., Stone, M., & Zhang, Z. (2016). Long Term Functional Outcome of Tibial Tuberosity Advancement vs. Tibial Plateau Leveling Osteotomy and Extracapsular Repair in a Heterogeneous Population of Dogs. 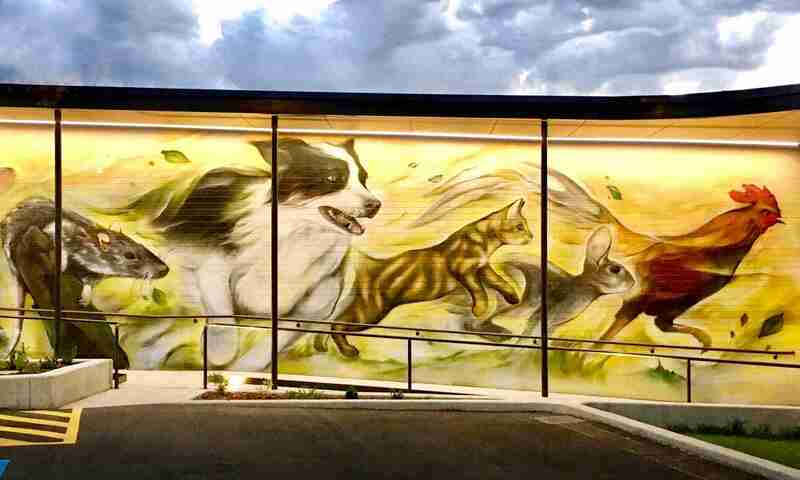 Veterinary Surgery.